Welcome to Sagemont Church! We are all equal at the foot of the cross, and regardless of your past, your family, or your circumstances, GOD LOVES YOU. At Sagemont, we want to be Living Proof of a Loving God to you, so take a look around and make plans to visit in person this week! Grow in your knowledge of God's Word in a Bible Study group. Join others and be involved in one of our many ministries. Connect with our team of licensed, professional counselors when demands of life require some help. Use thousands of archived online messages and real life stories of God at work to discover biblical principles and apply them to your life. Also find ministry media hosted online. All children are treasured at Sagemont, no matter the age, background, or special need. We pray that lives are changed with eternal hope as kids enjoy a full slate of Bible-based, age-appropriate programming in a safe, secure setting. Junior High (Grades 6-8), High School (Grades 9-12) and College students at Sagemont focus on building real biblical community filled with authenticity, transparency, and accountability. Student ministry activities always reinforce growth in students' relationships with the Lord and with each other. NVision the future of Sagemont's Student Ministry! See the need and hear the heart of the vision for a new facility for Sagemont's students. Volunteer to Serve in VBS! 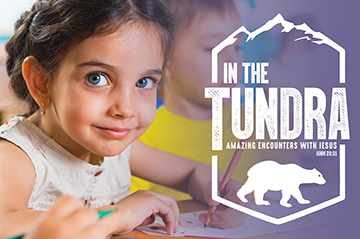 VBS 2019 - "In the Tundra" - is just around the corner! The fun begins June 10 at 6:30 pm. As always, we will need many volunteers to make this the best VBS ever, so click the red link above to volunteer to serve in VBS today! The Southeast Houston Hellfighters recently held an open house for their new clubhouse. 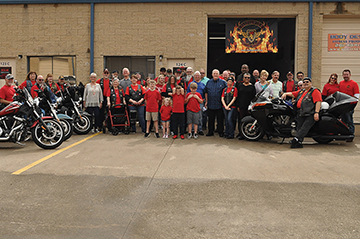 This evangelistic motorcycle club rides all over the US, seeking to share the gospel with those they meet.